As the title of this article suggests, the Altima is a mean machine—but more in the mathematical sense rather than the macho one. Here, “mean” means average, or ordinary. Don’t get me wrong, the Nissan Altima isn’t a bad car by any means. On the contrary, it has some great qualities. But when you step out of the car after a drive, you leave with very few meaningful memories. You know what I mean? Its design won’t exactly leave an indelible imprint on current and future generations, but it’s nice and quite balanced, and the boomerang-shaped headlights and taillights make it a little more dynamic. The same goes for the passenger compartment with its well designed, ergonomically sound dashboard and nicely combined materials. Sure, the quality is obvious, but you’ll find it a tad cold. A little whimsy would have been just what the doctor ordered. Be that as it may, life inside the Altima is rather pleasant. The passenger compartment is larger than that of the most of the competition (including the Ford Fusion, Honda Accord and Toyota Camry), the front seats are comfortable and I had no trouble finding a good driving position. The backseats, while roomy, aren’t as comfortable. The gauges in front of the driver are large and easy to read, with the exception of the odometer, which requires some getting used to. Most of the buttons and controls are well laid out, although the switch that activates and deactivates the safety systems (Lane Departure Prevention and Blind Spot Warning) is hidden by the steering wheel. Also, the latch used to open the fuel tank flap is too easy to confuse with the one for the hood (here’s a hint: it’s the one with the hole). I opened the hood twice before I figured it out. The basic audio system isn’t bad, although I found that the important information displayed on the central screen can be difficult to interpret at times. Large, vast, big, spacious, etc. And speaking of space, I’d be remiss if I failed to mention that the trunk is big, that its opening is large (a rare commodity these days), that there’s a net to hold the windshield washer fluid container and that the seatbacks lower to form a floor that, unfortunately, isn’t flat. Under the floor, you can use the space created for the spare tire to store other objects. Basically, if it had a handle inside the trunk so you could close it without getting your hands dirty, it would be just about perfect. Our test car was an Altima 2.5 SV, which came with the base 2.5-litre four-cylinder engine that develops 182 horsepower and 180 lbs.-ft. of torque. The sole transmission, a CVT, relays power to the front wheels. Surprisingly, I didn’t find this gearbox as objectionable as certain others. Sure, when you put the pedal to the metal and leave it there, the sound level in the passenger compartment increases dramatically, but since most people accelerate smoothly, it’s unlikely you’ll hear an Altima owner complaining about it. In normal driving conditions, the transmission constantly and discreetly shifts gears (I’m convinced that many drivers won’t even know what type of transmission their Altima has) and the sound level in these circumstances remains very low. At 100 km/h, for example, the engine revs at only 1,600 rpm (and climbs to 3,200 when you put the shifter in Ds). The engine is sufficiently powerful for a mid-size sedan, so sufficient in fact that I question the necessity of the available V6 engine with 270 horsepower and 258 lbs.-ft. of torque. Although it is smoother and more pleasant-sounding in acceleration, it consumes more fuel and, when accelerating sharply, it demonstrates a significant torque effect (each of the front wheels seems to want to go in its own direction). With the 2.5, it goes from 0-100 km/hr in 8.6 seconds according to testing done by the AJAC, which is a nice surprise. During our week long test drive characterized by bitter cold, I recorded a very good average of 8.5 L/100 km. I imagine that in temperatures fit for human survival, it could easily hit 7.8 or 8.0. Note that there’s no ECO mode, but in my opinion, that’s not a major loss. In most cars, this function is either so intrusive or so unremarkable that you don’t use it. On the highway, the Altima handles exactly like these lines suggest it will: placidly. However, the chassis is solid and the suspension offers a skilful blend of handling and comfort, but cornering is uninspiring at best. Maybe it’s the steering, which is very precise but disconnected from the road? Or perhaps it’s the traction or lateral stability control (the Active Understeer Control system does an excellent job) that are reasonably authoritative despite their gentle interventions? Whatever the case may be, no one climbs out of an Altima smiling from ear to ear. It isn’t as dynamic as a Mazda6, doesn’t have the overall balance of a Honda Accord and doesn’t have the spectacular looks of a Ford Fusion. In spite of all that, the Altima is an excellent car that will do a great job and satisfy its owner. Unless, of course, the owner looks for passion in an automobile! 7/10	If it had been summertime, it would definitely warranted four stars. 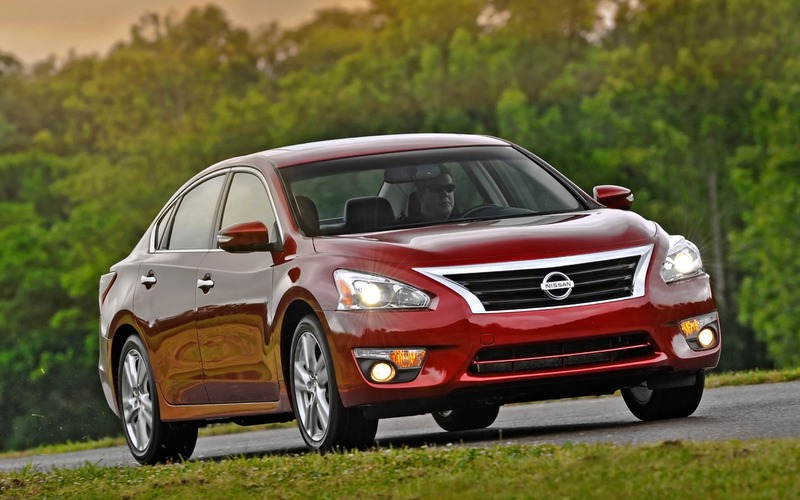 7/10	To get you from A to B without problems and comfortably, the Altima is perfect. 6/10	Your number of stars is as good as mine! 7/10	Very good in 95% of situations. 7/10	Not terribly exciting to drive but a good car just the same.